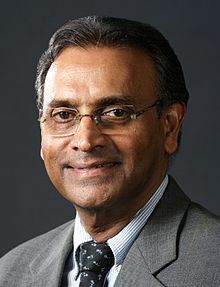 Jayantha Dhanapala is the recipient of the 2014 IPS International Achievement Award for Nuclear Disarmament, and is a former U.N. Under-Secretary-General for Disarmament Affairs. UNITED NATIONS, Nov 19 2014 (IPS) - A nuclear weapon-free world can and must happen in my lifetime. This may seem a bold and wildly Pollyannaish statement for me to make after a lifetime of work in peace and disarmament. But consider some of the key global threats facing us today, 25 years after the Berlin Wall fell, symbolising the end of the Cold War and on the cusp of the 70th anniversary of the United Nations – this centre for harmonising the actions of 193 nations mandated by the Charter to maintain international peace and security. And there are the problems of hunger, disease, poverty and violations of human rights that continue to disfigure the human condition. The spectre of the use of a nuclear weapon through political intent, cyber attack or by accident, by a nation state or by a non-state actor is more real than we, in our cocoons of complacency, choose to acknowledge. Is the nuclear weapon ever going to be a deterrent to combat these threats, let alone be used to solve these problems? Or is it not more likely that in a skewed world of nuclear “haves” and “have-nots” we are going to have increasing proliferation, including by terrorist non-state actors? Scientific evidence is proof that even a limited nuclear war – if those confines are possible – will cause irreversible climate change and destruction of human life and its supporting ecology on an unprecedented scale. We the people have a “responsibility to protect” the world from nuclear weapons by outlawing them through a verifiable Nuclear Weapon Convention overriding all other self-proclaimed “R 2 P” applications. Despite this overwhelming evidence, the world has 16,300 nuclear warheads among nine nuclear weapon-armed countries, with the United States and the Russian Federation accounting for 93 percent of the weapons. Of this, about 4,000 warheads are on a deployed operational footing. At a time of declining resources for development, a huge amount – 1.7 trillion dollars – continues to be spent on arms in general and nuclear weapons modernisation. In the U.S. alone, in a glaring contradiction of President Obama’s promises, nuclear weapon modernisation will cost 355 billion dollars over the next 10 years. A far-sighted military general twice-elected president of the U.S., Dwight Eisenhower, warned over 50 years ago about the insidious influence of the “military industrial complex” in his country. That influence, driven by an insatiable desire for profit, has spread globally, stoking the flames of war even as the United Nations and other peacemakers try to find peaceful solutions in terms of the Charter. I am proud that the Pugwash Conferences on Science and World Affairs, which I am privileged to lead today, has campaigned assiduously for over five decades seeking the total elimination of nuclear weapons based on the 1955 London Manifesto co-signed by Albert Einstein and Lord Bertrand Russell. Sir Joseph Rotblat, one of Pugwash’s founding fathers who walked out of the Manhattan Project as a conscientious objector, shared the Nobel Peace Prize with Pugwash in 1995. Pugwash is but one of the many citizen movements who have since 1945 urged the abolition of nuclear weapons. It was pressure from civil society that finally led to the Comprehensive Nuclear Test Ban Treaty and other significant milestones on the road to outlawing nuclear weapons. The world has already accomplished a ban on two other categories of weapons of mass destruction – biological and chemical weapons. I salute the Marshall Islands for taking the nine nuclear weapon states to the International Court of Justice, accusing them of violating their legal obligations, and look forward to the outcome at next year’s hearings. Two NGOs -ICAN and PAX – have painstakingly researched the money behind nuclear weapons and have revealed in their “Don’t Bank on the Bomb” report that since January 2011, 411 different banks, insurance companies and pension funds have invested 402 billion dollars in 28 companies in the nuclear weapon industry. “The top 10 investors alone provided more than 175 billion dollars to the 28 identified nuclear weapon producers. With the exception of French BNP Paribas, all financial institutions in the top 10 are based in the U.S. The top three – State Street, Capital Group and Blackrock – have a combined 80 billion dollars invested. In Europe, the most heavily invested are BNP Paribas (France), Royal Bank of Scotland and Barclays (both United Kingdom). I appeal to all of you present to make your own practical contribution to nuclear disarmament by joining the divestment campaign. The faded rhetoric of President Obama’s celebrated Prague speech in April 2009 about a nuclear weapon-free world has little to show as results unless civil society acts. The world has scaled many heights in my lifetime. Nuclear disarmament is likewise an achievable goal and not the mirage that the nuclear weapon states would have us believe. The successful conclusion of a final agreement on Iran’s nuclear programme and the forthcoming NPT Review Conference in 2015 are opportunities for us all to halt the proliferation of nuclear weapons by eliminating the weapons themselves. I fear that the longer we wait for nuclear weapon states to act, the greater the risk that the anger of impotence may lead to extremist groups seizing control of nuclear weapons. We are fortunate to have in Secretary-General Ban Ki-moon a global leader dedicated to the cause of nuclear disarmament and his Five-point Plan remains a lodestar for the global community. The Inter Press Service (IPS), our hosts this evening, must be congratulated on their 50th anniversary. Serving the cause of the developing world, IPS has held aloft important principles of equity and justice in international relations calling for an end to unequal exchange in all its forms. Thus this award honours the organisations with which I have been associated in a long struggle to rid the world of the most inhumane and destructive weapon ever invented. I take this opportunity to rededicate myself to this noble cause and its early fulfillment. *Excerpts from an address by Jayantha Dhanapala when he received the 2014 IPS International Achievement Award for Nuclear Disarmament at the United Nations Nov. 17.